Media coverage involving Palisade experts, or Palisade software and solutions. Project Manager Today took an in-depth look at @RISK Professional in a 4-page article in July. What follows is a thorough review of features, with helpful screen captures as illustrations. The piece serves as a nice introduction to @RISK, demonstrating how project managers create models to mitigate uncertainty, all within Excel! The Kentucky Farm Bureau blog featured the work of expert @RISK user Dr. Jeffrey Bewley, who is a University of Kentucky dairy specialist and associate extension professor. The story describes the new University of Kentucky dairy research facility that was built with cow comfort in mind, while being familiar enough to dairy producers so that the research is valuable for everyday operations. The facility uses technology to aid in Precision Dairy Farming, which Dr. Bewley explained to us at a previous Palisade Risk Conference (see slidedeck). Next Generation, or NextGen, is the Federal Aviation Administration’s new air traffic control system. Approved by Congress in 2003, the overhaul has proven to be one of the government’s most ambitious and technologically complex projects. NextGen is meant to accommodate increased air traffic, reduce fuel consumption, improve safety, and be interoperable with other international air traffic systems in Europe and elsewhere. FAA officials have noted that they do identify and assess potential risks to NextGen’s interoperability through working groups, but GAO said the agency hasn’t conducted a comprehensive risk analysis of threats and vulnerabilities to that end. Without such an approach, the agency may not be in a good position to address risks effectively or prioritize resources. This kind of megaproject risk management is something we see all the time at Palisade. Huge infrastructure and technology projects costing billions of dollars over decades can be incredible complex and difficult to manage. The most successful implementations establish a strategic framework that is strictly adhere to throughout the process – even if that means over the course of many years with multiple stakeholders. 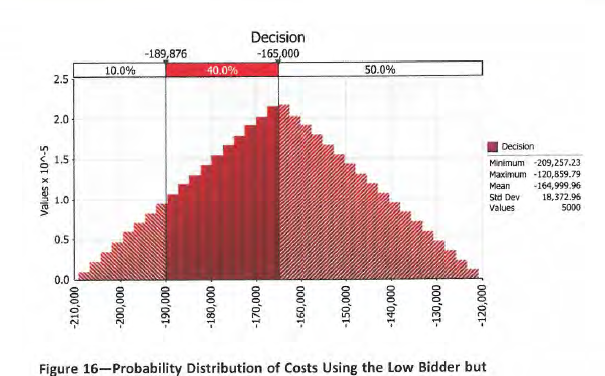 Within that framework, leading project managers and program directors bring in Monte Carlo simulation, such as found in @RISK, to properly quantify the “big unknowns.” Costs can balloon, schedules can be delayed, and you can’t always rely on what happened the last time. For these reasons it is critical that managers account for what they don’t know using @RISK. @RISK enables them to define realistic parameters around uncertainty, examine thousands of outcomes, intelligently rank risk factors, set up contingencies, and allocate resources efficiently. In one similar case, Lockheed Martin has been using @RISK to plan the next mission to Mars, while in another, @RISK helped the Canadian government estimate costs and budget for the maintenance of its naval fleet facilities. In September, Cancer Care Group, an Indiana radiation oncology practice, settled with the US Department of Health and Human Services for $750,000 over alleged violations of the Health Insurance Portability and Accountability Act (HIPAA). The problem began when a laptop was stolen from a Cancer Care employee’s car. The laptop contained unencrypted information on the names, addresses, dates of birth, Social Security numbers, insurance information and clinical information for about 55,000 patients. After investigating the breach, DHHS concluded that Cancer Care’s failure to adopt an enterprise-wide risk analysis of what could happen to this information led directly to the problem. At Palisade, we see companies in many sectors adopting enterprise risk management (ERM) for different reasons. For construction and engineering firms, ERM is necessary for keeping a comprehensive view on risks that affect schedules, costs, and resources. For manufacturing firms, ERM keeps tabs on material costs, exchange rates, and demand fluctuations. In healthcare, HIPAA compliance is one prime example of where ERM can help. A key component of ERM, which DHSS expounded upon, is the establishment of processes and procedures to mitigate risks. Another key element is the notation and ‘storage’ of risks of all kinds in a register of some kind. Many software platforms exist to serve these more qualitative ERM needs. However, it’s important to take ERM one step further to fully ensure you’re doing all that is necessary to protect yourself. Quantitative, probabilistic analytics are just as important as naming possible risks. What is the probability a risk will occur? How frequently has it occurred in the past? What’s the likely impact if it does happen? What is the range of damage it could inflict? These kinds of questions are crucial for developing a truly effective ERM plan that prioritizes mitigation efforts according to actual threat. At Palisade we’ve seen @RISK and the DecisionTools Suite used to address these quantitative aspect. Based in Excel, these tools are easy to connect to other ERM software platforms, as many clients have done using Palisade’s Custom Solutions services. For example, Calgary-based Revay and Associates consultancy helps clients build out robust, probabilistic ERM solutions. Furthermore, global energy consultants DNV use @RISK at the core of their EMR practice. Even toy giant LEGO relies on @RISK for their corporate-level risk strategy. Clayton Graham being interviewed by Jody Avirgan for FiveThirtyEight, the statistics-minded ESPN website founded by statistician Nate Silver. Baseball fans, take note: next time you’re looking to place a bet on a game, you may want to use @RISK. That’s what DePaul University professor Clayton Graham did to create his baseball wagering model, presented at the prestigious ninth annual 2015 MIT Sloan Sports Analytics Conference. Dr. Graham’s research submission, “Diamonds on the Line: Profits through Investment Gaming,” topped the “Business of Sports” track and earned third place overall. In the paper, Dr. Graham discusses how he uses Palisade’s DecisionTools Suite to create a baseball investment model to calculate the probability of winning individual games and the economic consequences of each wager based against each game’s betting line. Additionally, the research sought to determine the optimal bet size, based upon the risk tolerances of the investor. Initial $1,000 investment grew more than 1,400 percent during the season. Palisade software is a vital tool in countless industries, particularly in the mining sector. The “Metals & Mining Technology Special” edition of CIO Review features an article by Palisade’s vice president, Randy Heffernan, detailing several success stories. Heffernan describes how Met-Mex Peñoles and Anglo American used risk analysis software @RISK for applications like Six Sigma, sensitivity analysis, and real options. Mining companies benefit from decision trees also, as in the Metaproject story, in which an analyst uses PrecisionTree to recommend the best method of saving the 33 Chilean miners trapped in a San José mine in 2010. To read the full story, check out “Armed with the Right Tools, Mining and Metals Projects have Successful Outcomes” in CIO Review.